Kristy graduated from The Open University of Hong Kong with a Bachelor of Business Administration in Accounting. She has completed the Qualification Program of HKICPA for registration as a CPA. 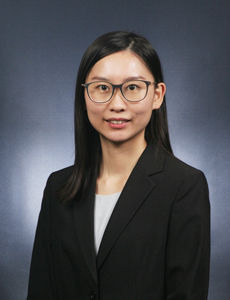 Before joining our Corporate Recovery Department in 2017, she has worked for two professional accounting firms and gained extensive experience in auditing, accounting and taxation. She speaks native Cantonese and fluent in English and Putonghua.